Promote news on any page using a news grid. You may hand-pick the News Articles or use an RSS feed to automatically populate the grid. You may also feature news from another site if an RSS feed is provided. Example of a news grid. News grids come with background images; choose between plaid or globe. Note: To use a news grid you must have an established news section on your site or an RSS feed from another CMU site. 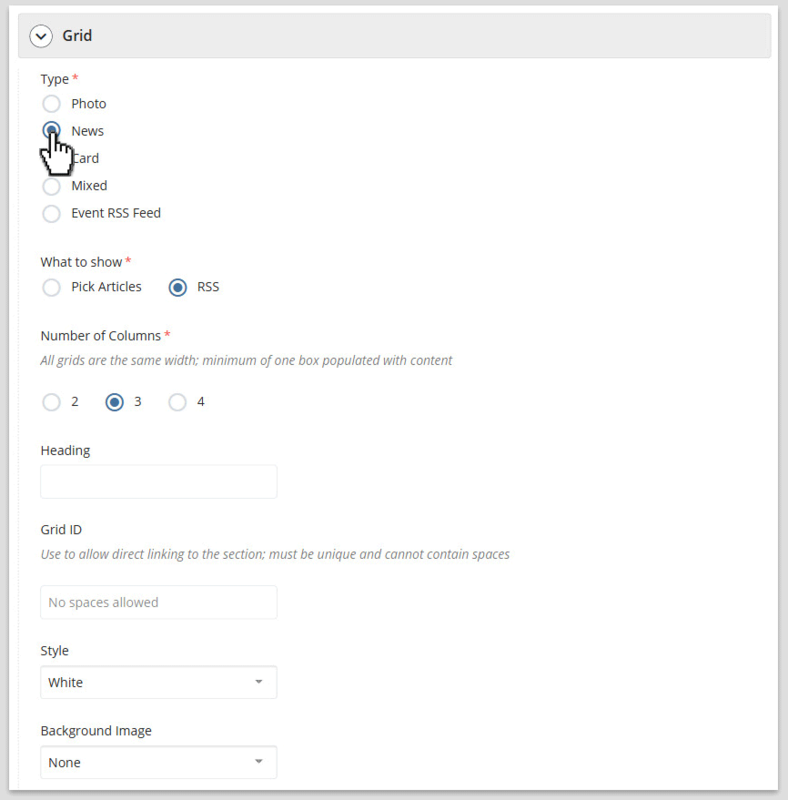 News grid settings in the page edit interface. Pick News Articles from your site. Pull in an RSS feed to automatically populate the grid. The RSS feed can be from your site or from another site.